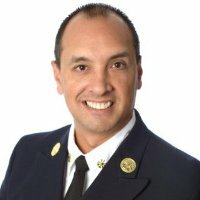 You are invited to attend our Change of Command Ceremony honoring our South San Francisco Fire Chief Jesus Magallanes Thursday, June 21, 2018 at 10:30 a.m. at Fire Station #61 located at 480 N. Canal Street in South San Francisco. Light refreshments will be served. Magallanes has taken the helm of the Department upon the retirement of Chief Kohlman in April. More on our new Chief CLICK HERE.